The soft, rounded form and a top panel made of natural wood lend the Yamaha TSX-B235D an air of calm and warmth. Enjoy music from CD, USB drive or smartphone via Bluetooth®—any way you want, any time you want. Audio and interior in perfect harmony: a serenely relaxing experience. *USB connections can’t be used with apps or to control the main unit. Bluetooth compatibility gives you wireless playback of music stored on your smartphone or tablet. What’s more, the TSX-B235D supports aptX® and AAC for uncompromised full-bandwidth audio over Bluetooth. Last but not least, NFC compatibility allows instant, automatic device pairing for ultimate simplicity. Operating the unit is simplicity itself. With Yamaha’s free DTA CONTROLLER app, your smartphone or tablet becomes a sophisticated remote control, giving you complete control over power, volume, tone and a whole range of other functions with intuitive on-screen ease. The soft, rounded form and a top panel made of natural wood lend the Yamaha TSX-B235D an air of calm and warmth. Enjoy music from CD, USB drive or smartphone via Bluetooth�����any way you want, any time you want. 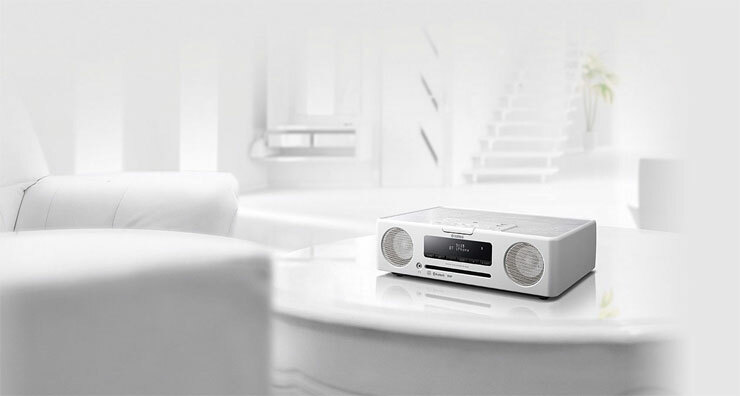 Audio and interior in perfect harmony: a serenely relaxing experience. You���ll adore the soft, natural look of the TSX-B235D. The top surface is a flat natural wood panel, perfect for keeping glasses or other personal accessories. The unit is equipped with two USB ports���one for music playback, one for dedicated charging. Both ports can be used for charging devices even when the unit is in standby (power off). It���s design that is both beautiful and functional. *USB connections can���t be used with apps or to control the main unit. Bluetooth compatibility gives you wireless playback of music stored on your smartphone or tablet. What���s more, the TSX-B235D supports aptX�� and AAC for uncompromised full-bandwidth audio over Bluetooth. Last but not least, NFC compatibility allows instant, automatic device pairing for ultimate simplicity. Operating the unit is simplicity itself. 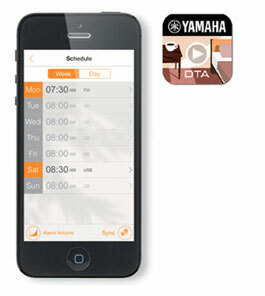 With Yamaha���s free DTA CONTROLLER app, your smartphone or tablet becomes a sophisticated remote control, giving you complete control over power, volume, tone and a whole range of other functions with intuitive on-screen ease.